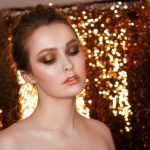 Highlighting is a beauty technique that has been used by internationally renowned makeup artists for decades; the minute we found out about it though, we instantly fell in love. It is the modern ideal of beautiful skin. Simply, highlighting or strobing is about creating the illusion of naturally radiant skin. To achieve this, we need to use a product on areas of the face where the light would naturally touch to give us that glowing, dewy look. In addition, much like contouring, highlighting can accentuate and flatter our features; which is how it differs to strobing. It can bring attention to the middle of your face, highlight a cupid’s bow to give the illusion of a fuller lip and emphasise our cheekbones. In terms of the colour of your highlighter, you’re best to find something that compliments your skin tone. For darker skin tones and for use in summer we recommend golden tones for your highlighter. 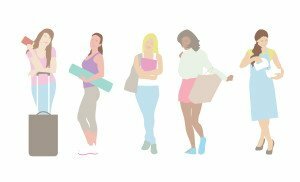 For lighter skin tones and winter pinks and nudes are best. Play it safe when it comes to the texture of your products. If you’re using a cream foundation, stick to a cream highlighter and vice versa. This will keep the look flawless. The only exception to the rule is using a powder to set the look. Above eyebrow/centre forehead: A touch of highlighter here can give that glowing effect- this aspect is more used in strobing where the skin looks dewier- best avoided if contouring as well. Inner eye: In the corner of the eye use a highlighter to give the illusion of brighter eyes. We love Benefits Eye Bright. Nose: Alongside either side of the bridge of the nose- this can draw attention to the middle of the face and it can also make your nose appear narrower. Cupids Bow: To create fuller looking lip, apply a highlighter above the cupid’s bow. 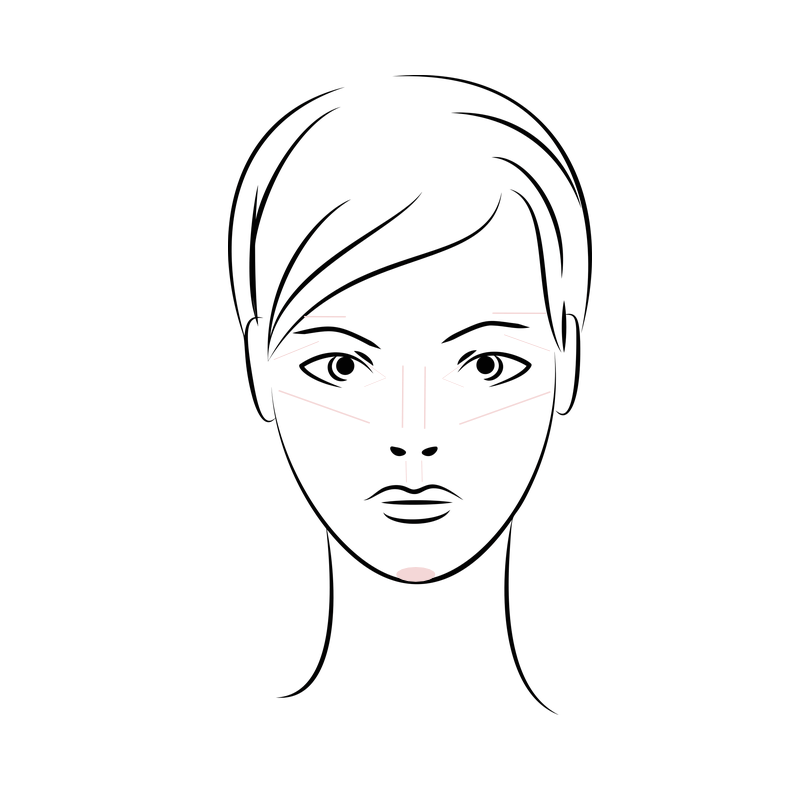 Chin: If you have a rounder face, applying highlighter here can help to elongate the face. As for how much, start off with a little. The beauty is you can always build on it. 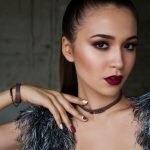 Although you can highlight all the areas shared, if highlighting or strobing alone, applying to all of these areas could instead of making you look fresh faced, make you look sweaty instead. Start off with a little amount first on your chosen areas and use your finger, or if you want to be more precise a brush, to blend the highlighter in. Take your mirror to a window with lots of natural light and see if you’re happy with the outcome; if you feel it needs more, add more. Set with a translucent powder for a more natural look, or use a bronzer or blusher for cheekbones to emphasise further.